IT WAS ONLY a matter of time before other classic computers would make a return. After a fundraising campaign which saw a handheld version of the SZ Spectrum raise close to €500,000, another classic is making a return. Unlike the SZ Spectrum revival, The 64 is not an official recreation of the Commodore 64, but it hopes it will experience the same success. Describing it as an homage to the original computer, the makers Retro Studios say it will come in two forms: a traditional computer and a handheld. Instead of being compatible with current Commodore 64 games, it promises to have titles built into the device as well as other programs created specifically for it. The computer is a sleeker version of the original and will include an HDMI connector, slots for cartridge and SD cards and USB ports, while the handheld version comes with micro-USB and micro-HDMI ports. Like most new projects of this kind, the group behind it are looking for $150,000 (€132,000) to help fund it and are using IndieGoGo – which allows projects to keep the money they raise, even if they miss the target – to do so. If the group reaches its funding target, both devices will be released in time for Christmas. 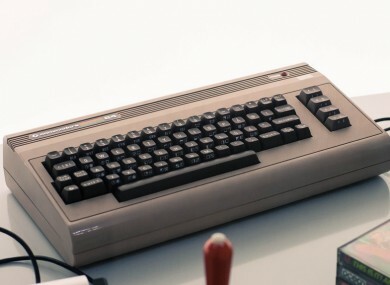 The Commodore 64 was an 8-bit computer released back 33 years ago. Taking its name from the amount of memory it had – 64 kilobytes – the computer managed to sell up to 17 million units, outselling similar products from IBM, Apple and Atari, before it was eventually discontinued in 1994. The computer was resurrected 30 years after its debut with upgraded hardware including 2GB of RAM, a 160GB hard drive and WiFi. A similar project in 2015 saw it being reintroduced as a mid-range smartphone called the Commodore PET. Email “This classic computer is hoping to return as two different devices”. Feedback on “This classic computer is hoping to return as two different devices”.